(25 March 2018, Hong Kong) Leading global commercial real estate services firm Cushman & Wakefield shone once again at the Royal Institution of Chartered Surveyors (RICS) Awards in Hong Kong in 2018, winning the prestigious “Best Deal of the Year” award, and Certificates of Excellence in both categories of Office Team of the Year and Retail Team of the Year. 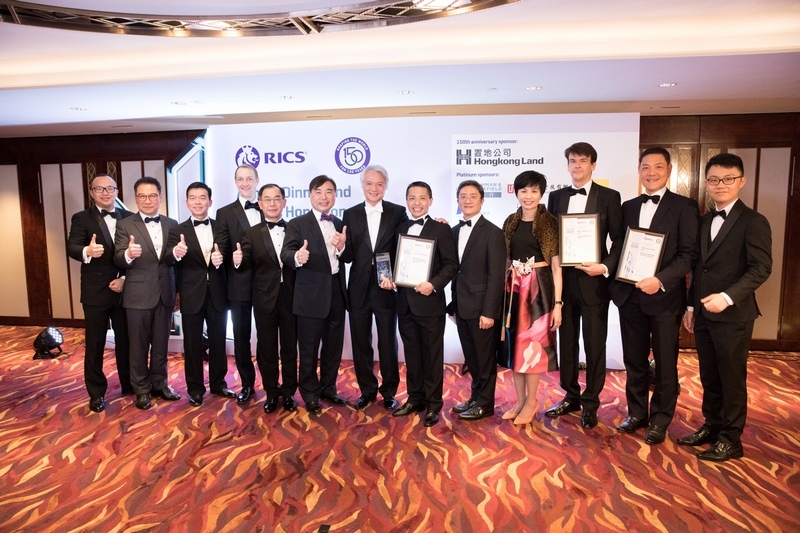 The annual RICS Awards ceremony held on 23 March 2018 in Hong Kong recognized the city’s most successful real estate teams and developments in the property sector in the previous year. In 2017, Cushman & Wakefield scooped property investment deals of more than HK$42 billion. One of those deals – the sale of the 8 Bay East office project from The Wharf Holdings to LVGEM that we brokered together with Wheelock Properties – not only broke a handful of records in terms of transaction consideration (HK$9 billion) and project size (600,000 sq ft in GFA) but also earned us and Wheelock the “Best Deal of the Year” award at the RICS in Hong Kong. Innovation is why Cushman & Wakefield has been recognized with Certificate of Excellence by the RICS too. Last year we helped with the LKF Tower conversion project in Central and secured global co-working space operator WeWork as a single anchor tenant. Meanwhile, we brought an innovative catchment area marketing concept to individual landlords and F&B tenants in Tin Hau, Hong Kong Island, delivering excellent results to all parties and enhancing the reputation of Tin Hau Food Square as an authentic food haven in Hong Kong. To learn more, visit www.cushwakecentennial.com, www.cushmanwakefield.com.hk.